Substance abuse and addiction are like a whirlpool, dragging its victims into an underworld of violence and despair. The young are most vulnerable. 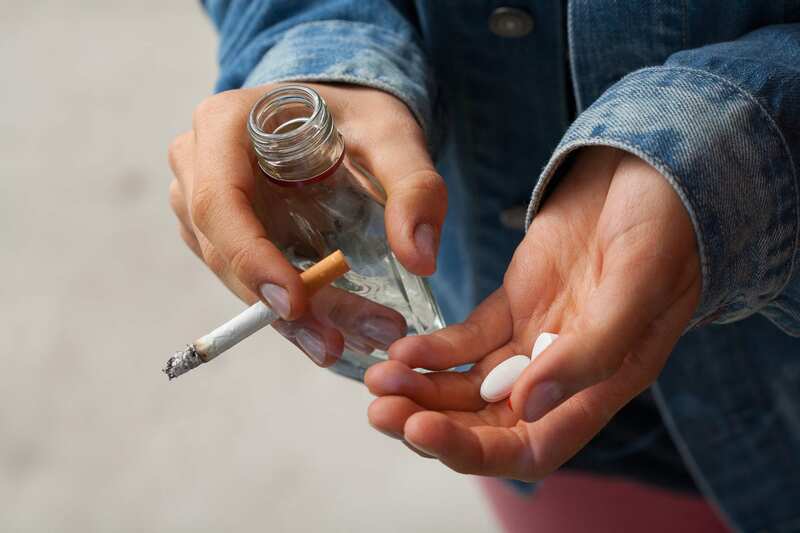 Even those who do not use drugs or alcohol themselves can be traumatized by the actions of others and their terrible experiences when living in a situation entrenched by a drug culture. Young people today face many challenges unknown to their parents and grandparents. The danger and potency of today’s drugs being one of them. Some strains of marijuana are far more potent than those in the past. “Designer” and synthetic drugs are dangerous unknowns, with new ones being developed constantly. The user has no way to know what it contains, how strong it is or what the side effects may be. Heroin has made a huge reemergence amongst youth in recent years. The use of deadly opioids has been characterized as an epidemic. Drugs are available everywhere – their parents’ medicine cabinets, street corners, schools and the internet. There are some distinct differences between rural and urban drug and alcohol use. A comparison of treatment admissions was revealing. Heroin or cocaine were the primary drugs of choice in urban areas while alcohol abuse was predominant in rural areas. Twice as many rural substance abuse treatment admissions (51%) were referrals from the criminal justice system. Addicts were more likely to seek treatment on their own in urban areas (38%) than in rural areas (22%). However, there is typically less access to treatment outside the cities. The National Institute on Drug Use conveyed varied results in their latest report. They found that the use of most illicit drugs and alcohol in the 8th, 10th and 12th grades is trending down. The use of marijuana has dropped slightly or is unchanged. Although the number was small, more kids in the 8th grade were smoking pot (0.8%) than cigarettes (0.6%). Unfortunately, far too many teens are still experimenting with and becoming addicted to drugs and alcohol. Half of high school seniors have tried an illicit inhalant or drug. Six out of 10 use alcohol while 45% use marijuana. The Federal Strategic Plan to Prevent and End Homelessness reported that more than 500,000 people are homeless on a single night in the U.S. Families accounted for more than one-third of the homeless. Homelessness and substance abuse are linked far too often. Children are confronted with the many problems accompanying the lack of a stable home, such as drug and alcohol abuse. School attendance often suffers and many drop out. Children who have spent 90 days or more in shelters have a 40% greater chance of entering the child welfare system. Runaways are likely to end up in a worse situation than the one they ran from, living on the street as best they can. Survival becomes the only goal. Attacks and sexual abuse are rampant. These youth are surrounded by violence, addicts, and people suffering from severe mental health conditions. The American Journal of Drug and Alcohol Abuse reported some alarming facts about drug and alcohol abuse among homeless youth. Studies reported substantial drug use among homeless youth. One study found that 86% self-medicate with drugs and alcohol. A homeless youth is 10 times more likely to die than a kid with secure housing – drug overdoses are one of the leading causes of death. There are many governments and private programs dedicated to helping the homeless. One very successful program is Starting Right, Now, working to beat the odds for homeless and unaccompanied youth in the Tampa Bay area. They provide a stable home for young people who’ve endured problems greater than most adults could handle. They also focus on providing the teens with the life skills they’ll need to lead successful and fulfilling lives. One-on-one mentoring makes a huge difference, providing each child with a personal role model, advice, and assistance. Educational achievement is emphasized, overcoming any challenges caused by on-and-off schooling in the past. Finally, they are assisted with employment opportunities. Both adults and children can be traumatized by their experiences related to drug and alcohol abuse. They are more prone to serious and chronic health issues, depression, anxiety and other symptoms of trauma. Some children may withdraw into themselves while others behave aggressively. Accelerated Resolution Therapy (ART) has been very successful in treating trauma, whether suffered by combat veterans, victims of sexual assault or other traumatic life experiences. This unique evidence-based psychotherapy reprograms how traumatic memories are stored in the brain. The power of the traumatic memories to cause flashbacks, physical symptoms of distress and other problems that interfere with quality of life is greatly reduced. Good images replace the traumatic ones, especially important for a child or teen’s healthy development. ART is effective in 5 sessions or less, a stark contrast to many conventional treatments that require months or years. SAMHSA has listed ART as an effective psychotherapy for PTSD, stress, depression and developing personal resilience. The benefit of ART for other mental issues is being researched and is promising. To learn more, visit ART International or call 813-435-1374. Don’t allow past traumas to cripple your life. Accelerated Resolution Therapy could open the door to a new and brighter future.